MILWAUKEE (July, 2012) – Designed with performance fabric for optimal comfort, the new women’s Performance L/S Henley (P/N 99136-12VW, starting at $55) from the Harley-Davidson® MotorClothes® line is great as a first layer and also as functional outerwear. It’s constructed from 100 percent cotton 2x2 ribbing that wicks moisture away from the skin to keep you cool, dry and comfortable. Anti-microbial properties help eliminate bacteria and odors so you stay fresh all day. And a UPF-30 treatment blocks 96 percent of the sun’s harmful UV rays. Available in black and off-white in XS – 3W sizes. The Performance L/S Henley is available now at most Harley-Davidson dealerships. MILWAUKEE (July, 2012) – The new men’s Performance S/S Woven Shirt (P/N 99075-12VM, starting at $70) from the Harley-Davidson® MotorClothes® line is constructed with the latest high performance fabric for ultimate comfort. The 60 percent cotton/40 percent polyester fabric is moisture-wicking to keep the body cool, dry and comfortable. Anti-microbial properties help eliminate bacteria and odors during wear, while UPF-30 treatment protects against 96 percent of the sun’s harmful rays. 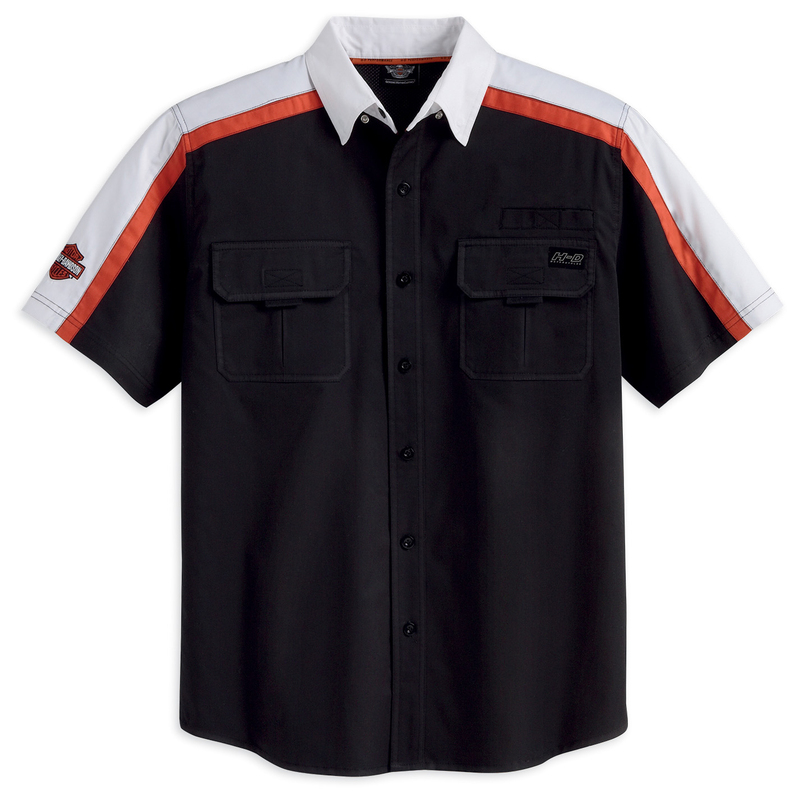 The shirt features a snap-down collar; button front and two chest pockets with hook and loop closures; and back vents. Available in S – 5XL sizes. 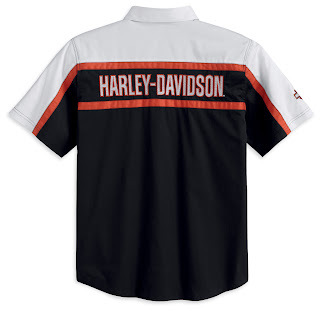 The Performance S/S Woven shirt is available now at most Harley-Davidson dealerships.